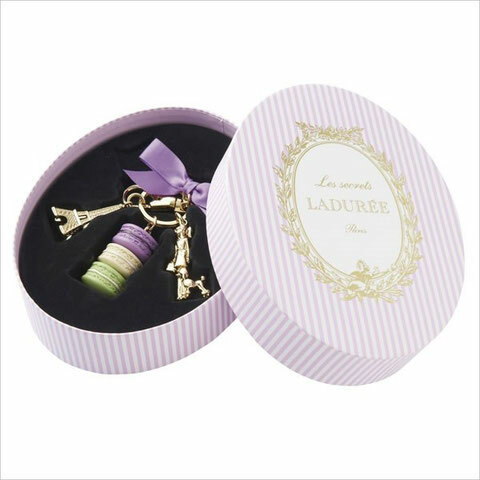 New lineups of Laduree key ring were released with three color variations. 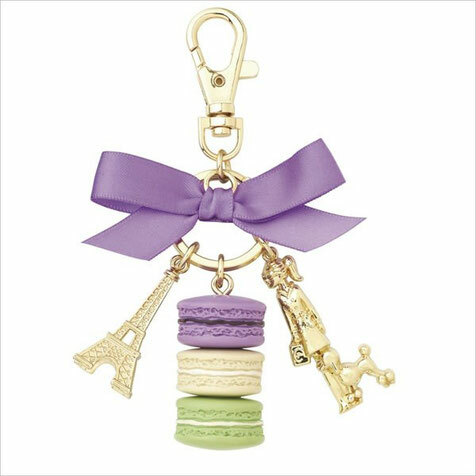 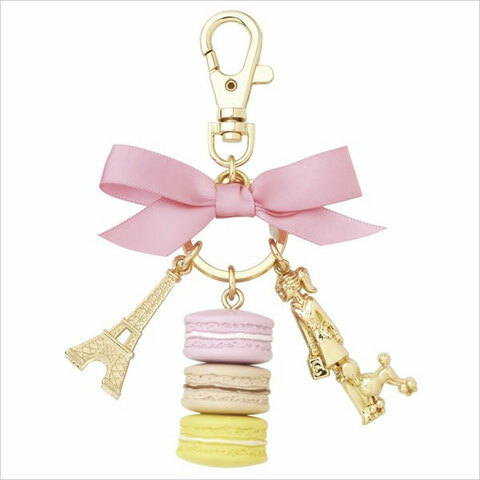 Furnished with the key ring are regular three macarons, the Eiffel Tower, and a Parisienne walking with a poodle. 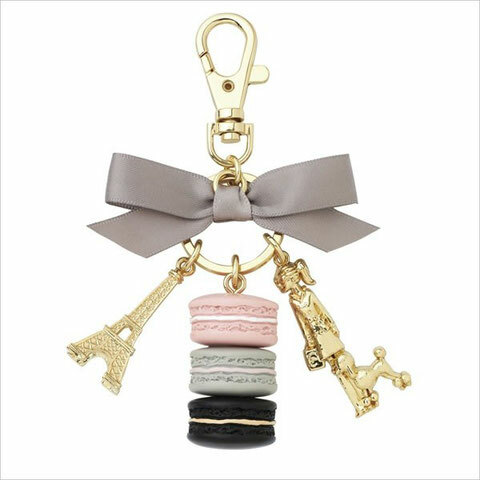 The Parisienne walking with the poodle is the new feature in the series of Laduree key rings. Stripe box is also new design. 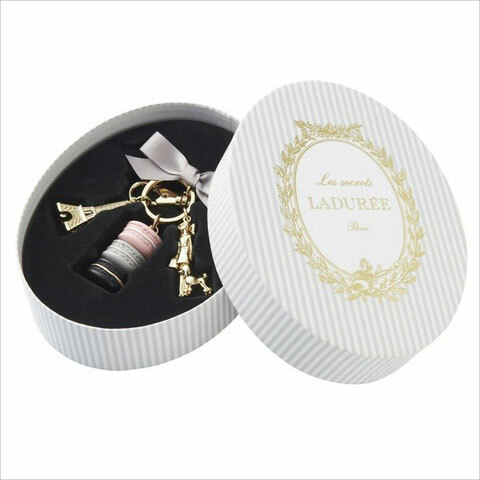 Please click "Read More" to view new lineups of the Laduree key ring.